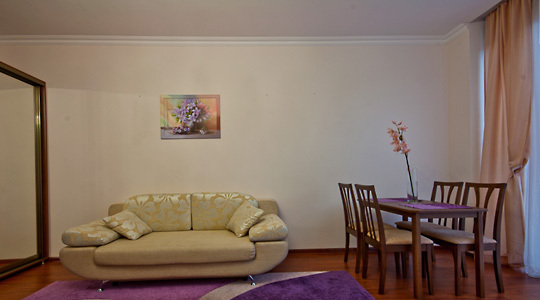 Short term apartment rentals, Odessa Ukraine. 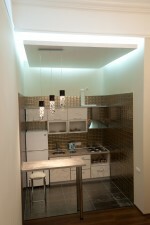 Newly renovated studio apartment Odessa downtown on Aleksandrovskiy Avenue. Great alternative to hotel room, but cheaper and more comfortable. The apartment is furnished with queen size bed, wardrobe, bed-side tables, LCD TV, cable TV, high speed Internet, air conditioner. Small built in kitchenette is equipped with all kitchen appliances for cooking your favourite dishes. 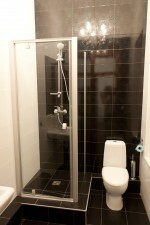 Bathroom with shower cabin and wash basin. The capacity of the apartment is two people. Smoking inside is forbiden! Apartments in the same corridor: Andromeda (S48), Phoenix (S49), Cassiopeia (S50). Apartment Pear (B20) is in the same court yard.